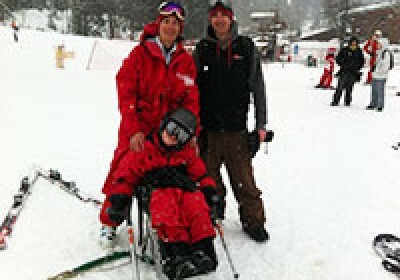 Cerebral palsy is a condition in which there may be abnormal brain development or injury to the brain as it develops. 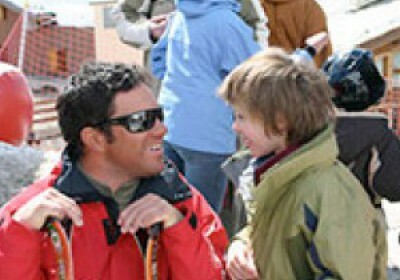 This can occur before, during, after birth or during early childhood. 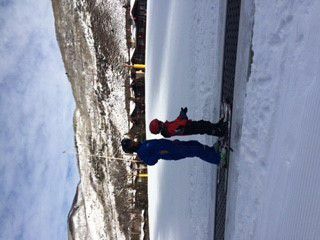 This can lead to permanent disorders of the development of movement and posture, causing activity limitations. 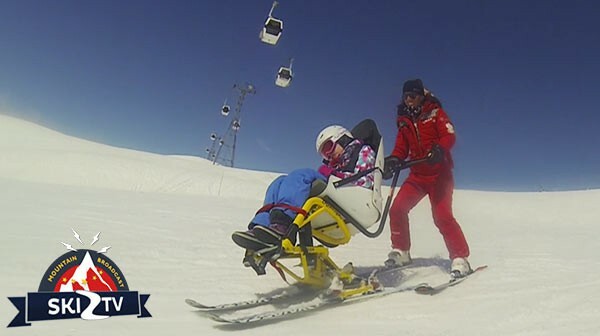 The motor disorders of cerebral palsy are often accompanied by disturbances of sensation, perception, cognition, communication and behaviour, by epilepsy and by secondary musculoskeletal problems. 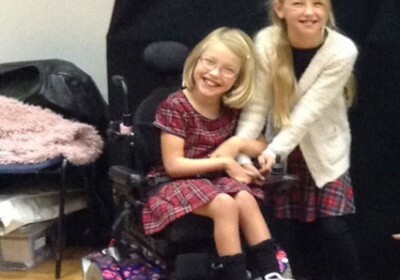 ‘Cerebral Palsy’ is an umbrella term that encompasses a large spectrum of disorder and therefore the level of impairment can be hugely variable. 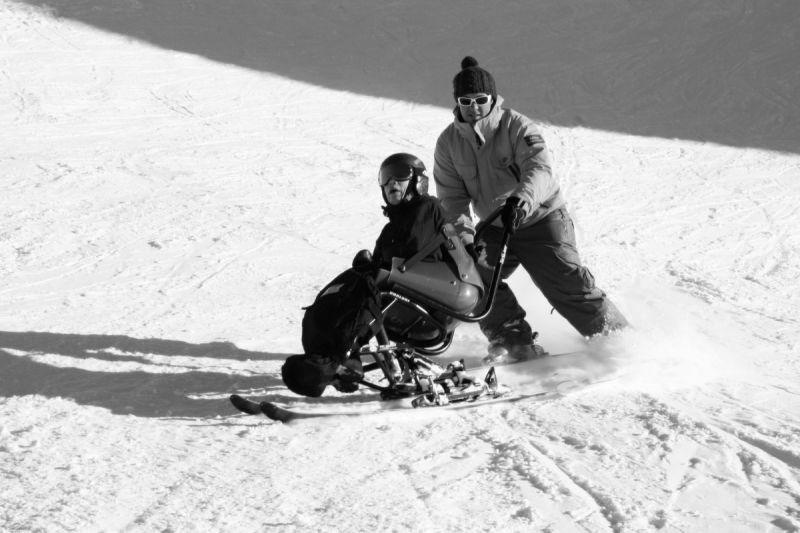 A person with Cerebral Palsy can enjoy the mountains with family and friends! 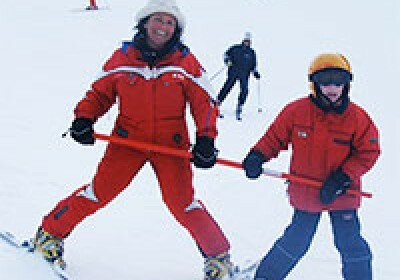 Ski 2 Freedom has many clients who have discovered the joys of the snow and magic of the mountains. 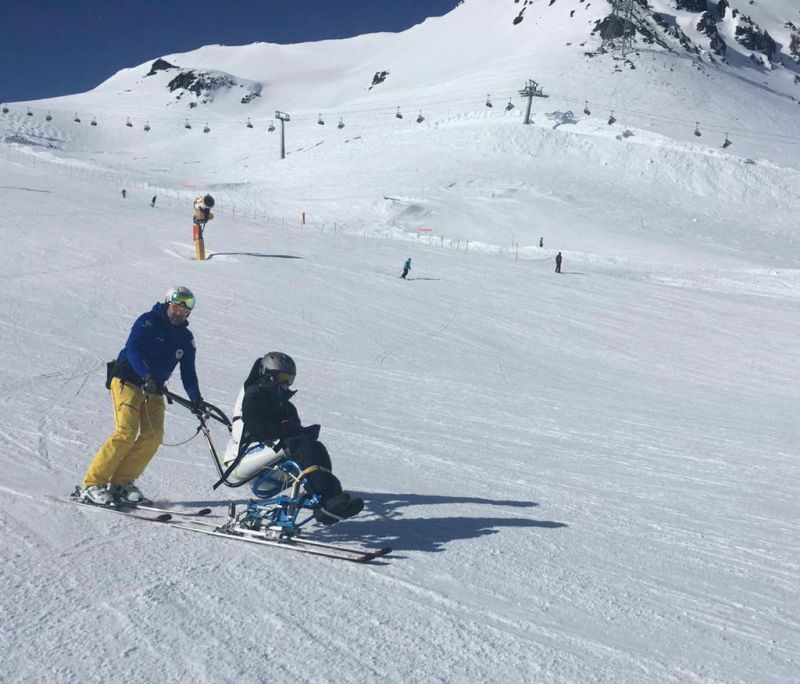 Most ski schools which have qualified instructors for disabled and adaptive skiing and snow sports should be able to work with children and adults who have mobility issues and conditions relating to Cerebral Palsy. 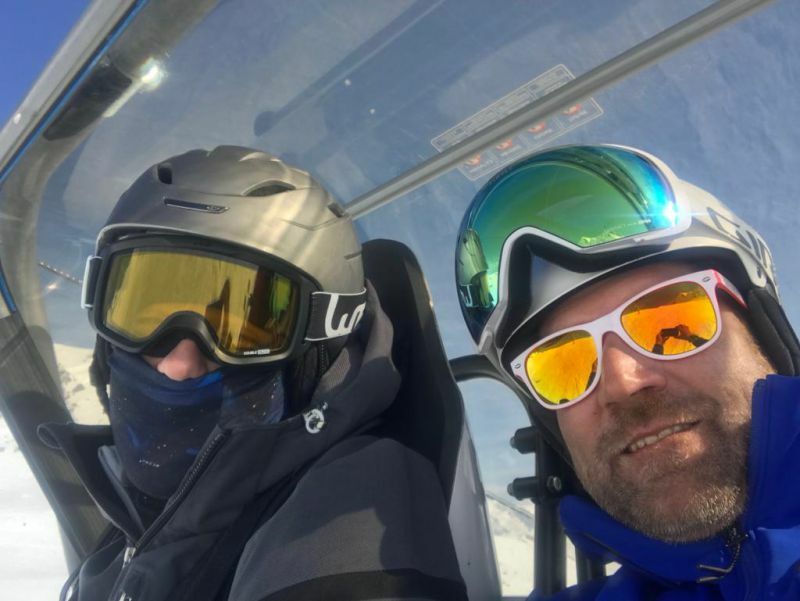 It is also a good idea to return to the same ski resort for a couple of winters just to maintain that special relationship and new found confidence. 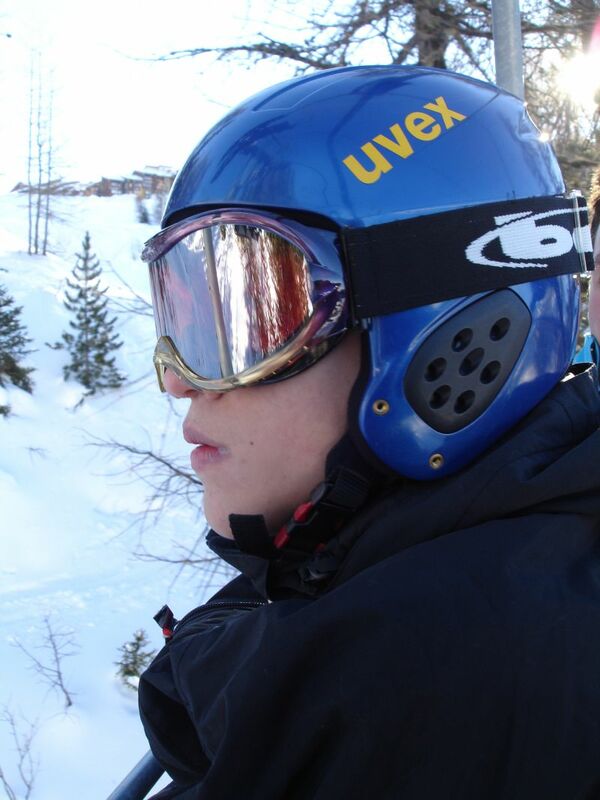 Your initial enquiry to the ski school should include as much background information on the skier as possible. 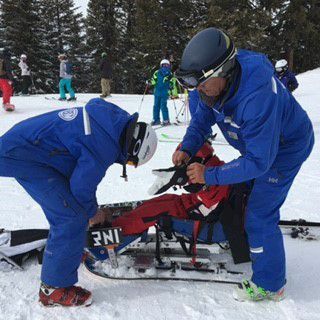 Discussing in detail the skier’s specific needs and condition(s) is VITAL to ensure both the ski school and you know what is going to happen and to ensure you are matched with the right ski instructor and/or equipment. 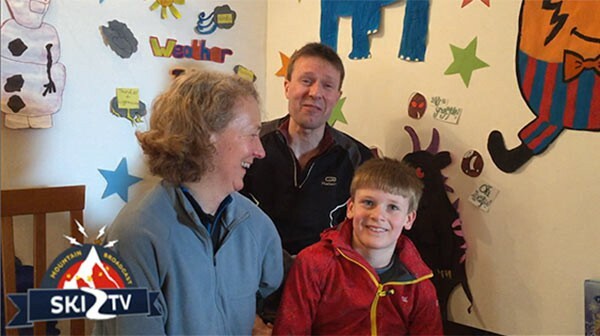 This may include a discussion about other associated health and social needs such as epilepsy, asthma, communication and social awareness skills and any recent medical developments. 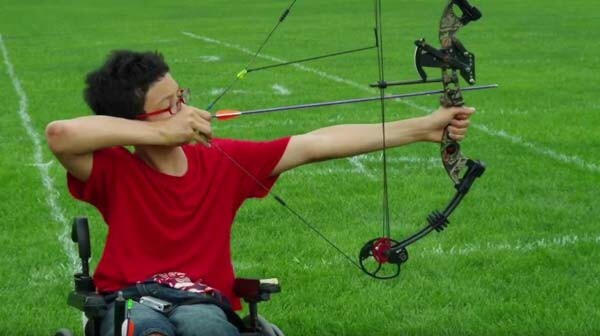 This is especially important in the case of Cerebral Palsy as the level of impairment may differ hugely between people with the same condition. 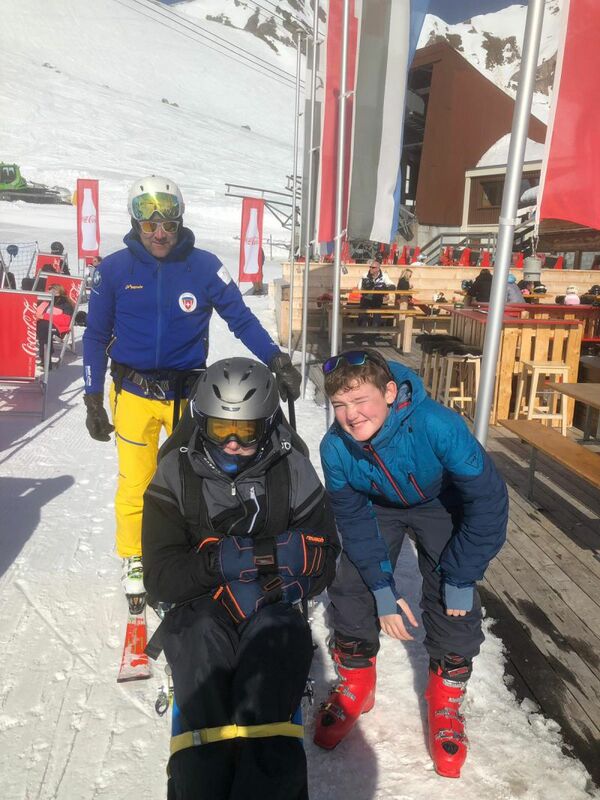 Many of the ski schools have a good idea of what is required especially when it comes to equipment and clothing, in particular the ski boots. 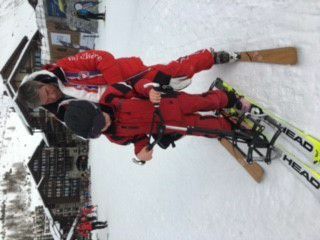 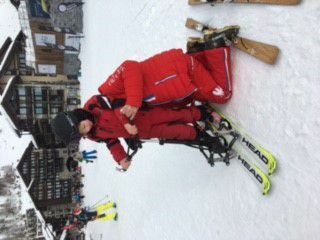 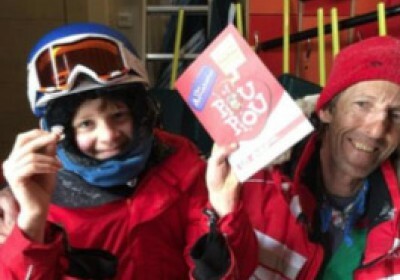 Do ensure that you ask the ski school if they can recommend a ski hire shop for such items. 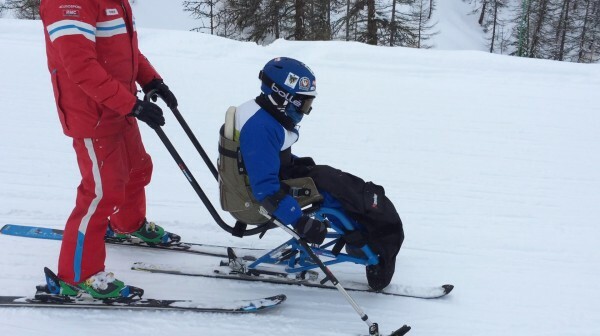 Whether special ski equipment is required will depend on the degree of the disability. 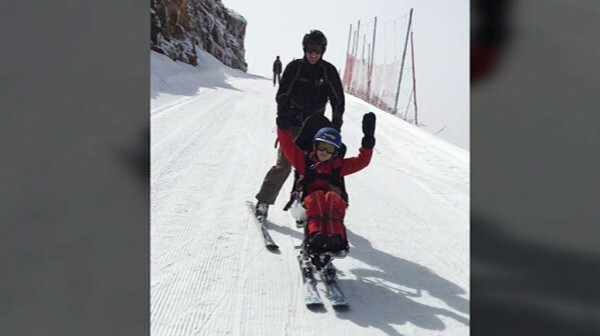 In cases of Cerebral Palsy where motor impairment is severe, a sit-ski or Tandemski is usually the best option. 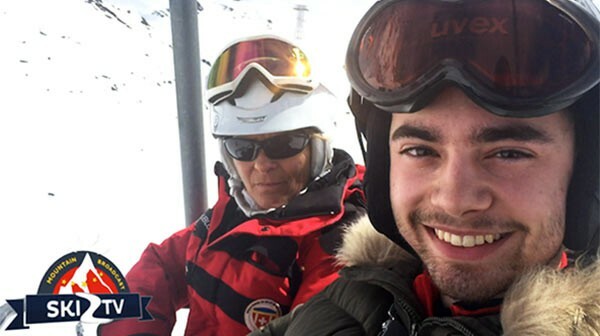 This allows a person to enjoy the exhilaration of skiing and the magic of the mountains whilst being safe in the hands of a qualified instructor who has complete control. 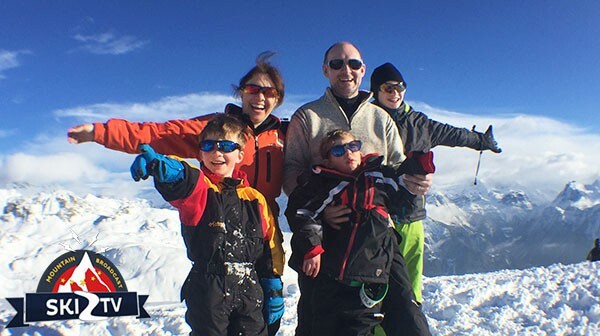 This option also allows family and friends to all ski together. 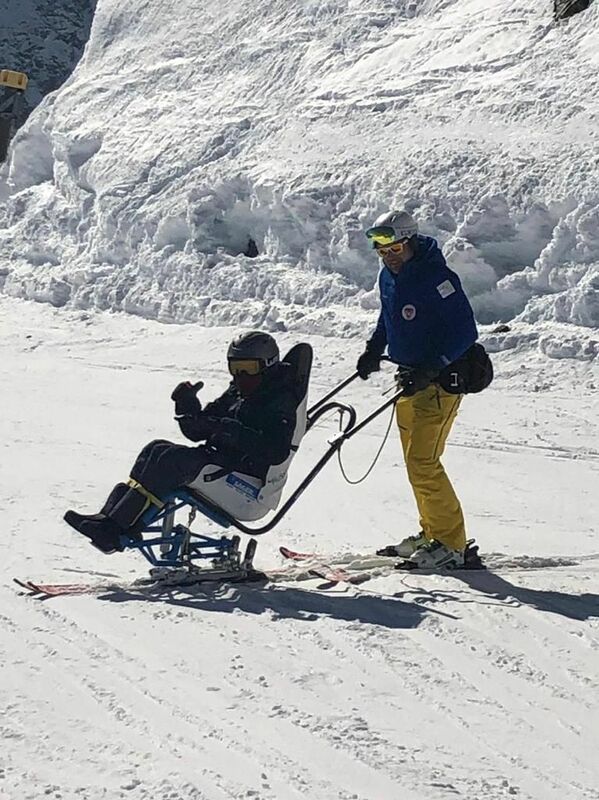 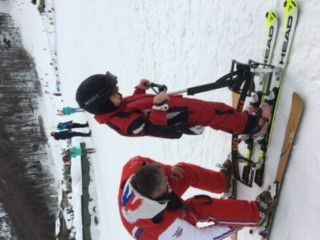 In Europe, the US, Canada and worldwide there will be qualified ski instructors with experience in disabled and adaptive skiing tuition in most resorts, therefore it is more than likely that whichever resort you choose there will be someone who will be able to help you. 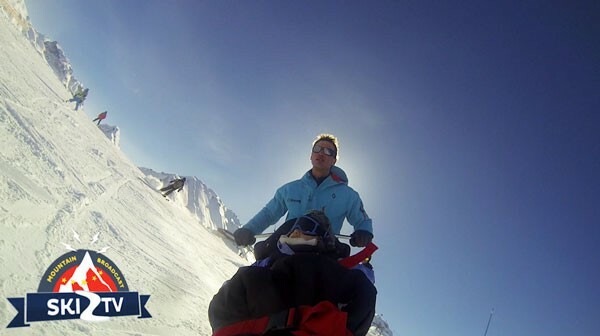 However, going somewhere where skiers with a similar condition have gone before, may well be a source of comfort and reassurance. 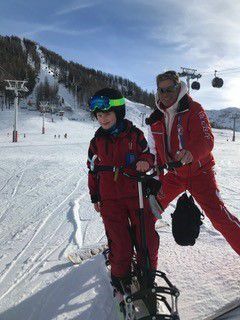 We are delighted to be able to list below all of those schools, of which we have personal experience – but do note that there are many more we know of but just have not skied with or had clients there – for example in France there are over 150 ski schools and organisations with ski equipment and instructors! 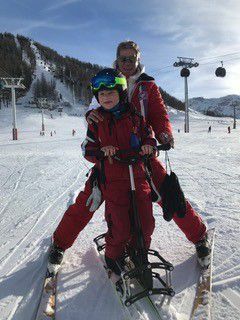 We are delighted to be able to share information and feedback from families who ski and understand the problems associated with Cerebral Palsy or similar disorders on our Personal Stories page.